Monday, November 3, 2014. Inspired by the cosmos and my childhood gift for prophetic dreams, I wrote the haiku, “Prophetic Stars.” While I am not religious or new age spiritual, I often do consider humanity’s tenuous grasp of the material world. 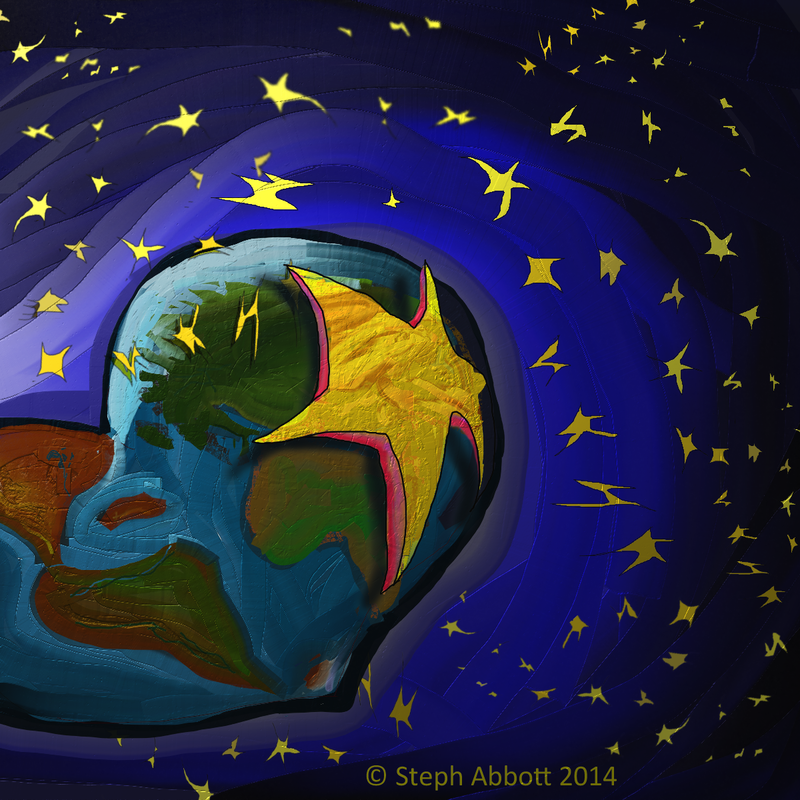 As for the image, “Prophetic Stars,” I created it using Art Rage 4 software. The image does not show up Steph. The Haiku is nice.